A quality dye-sublimation ID card printer at a great price. Incredibly easy to use with drop-in dye film and hand-fed card loading. 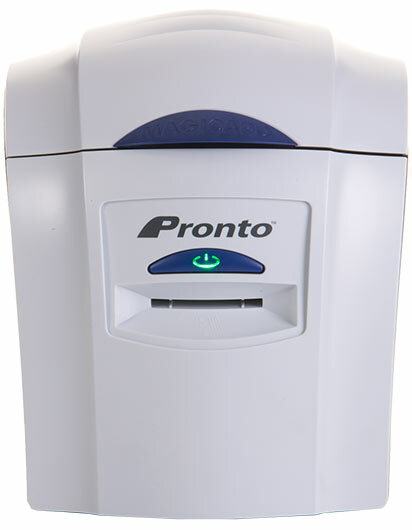 The Pronto features a magnetic stripe encoding option and its built-in HoloKote visual security system offers a choice of 4 watermark designs.